Why Are Low-Flow Toilets So Beneficial? Low-flow toilets can offer your home a number of benefits. Is it time for you to switch? Most days, you are probably paying very little attention towards how much water your toilet is consuming. The flow of water in your toilet is not something that exactly has a huge impact on your day to day life, so it seems rather inconsequential. However, there are unforeseen consequences to toilets that consume too much water. You might not realize it right now, but a perfectly functioning toilet can have quite a large impact on both your wallet and the environment. This is why you should think about having low-flow toilets installed in your home. Low-flow toilets use considerably less water than older toilets, or even some newer ones. Just the sound of having to install new low-flow toilets in your home might sound like a pain you want to avoid, but you might want to think about why low-flow toilets are so beneficial to your home plumbing before making up your mind. First off, you can expect your monthly water bill to be less of a problem, all thanks to your low-flow toilets. Since low-flow toilets consume less water than other models, your home will be using less water. Obviously, the less water you use, the less you can expect your bill to cost you each month. Low-flow toilets are using as little of your water as possible, so you can expect a rather inexpensive water bill compared to what you were paying in the past with wasteful high-flow toilets. Sure they will cost you money in the present just to purchase and have installed, but you will soon find yourself saving money in the long run. Speaking of money, you will not have to worry about your low-flow toilets breaking the bank when you purchase them, because they are actually fairly cheap and low cost themselves. 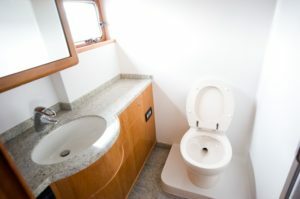 Low-flow toilets are not much more expensive than the other models available on the market. Plus, you have to take into consideration the amount of money you will be saving on your water bills, as previously mentioned. If you are having plumbing issues with your toilet and are in the market for a new one, the reasonable cost of low-flow toilets is just one reason why you should purchase them. Water waste can have a large and harmful impact on the environment. Toilets that use more water than they need are not at all energy efficient and are not doing anyone any favors. If you are looking for ways to help the environment are making your home more energy efficient, then low-flow toilets are one solution to your problem. Low-flow toilets will cut back water waste in your home, making you and your home more environmentally friendly. This entry was posted on Friday, January 18th, 2019 at 1:19 pm. Both comments and pings are currently closed.